Navratri is dedication to the celebration of Hindu Goddesses for nine nights. Each day is dedicated to one form of energy. This is considered to be the most auspicious time to start with anything new. Celebrate this pious occasion with advance Navratri wishes 2018. 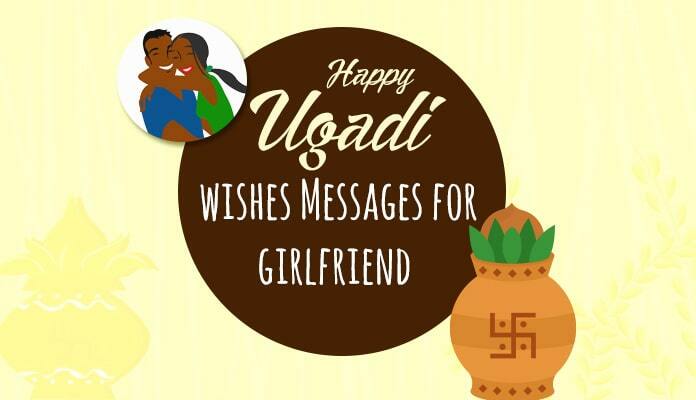 Beautiful Navratri wishes to lover, unique Navratri messages for boyfriend and lovely Navratri wishes greetings for girlfriend have been shared below to send to your lover. 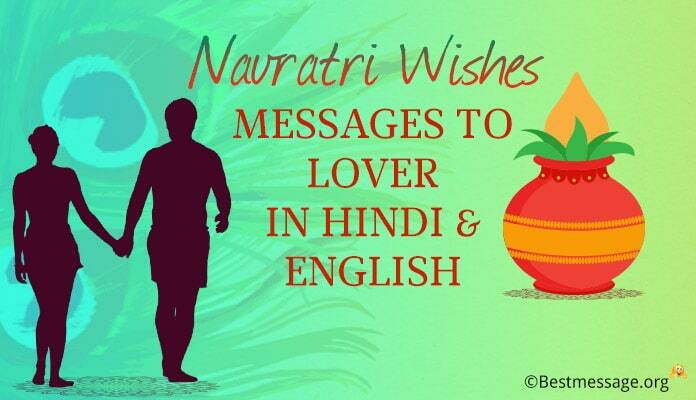 Huge collection of Happy Navratri messages in Hindi and English. 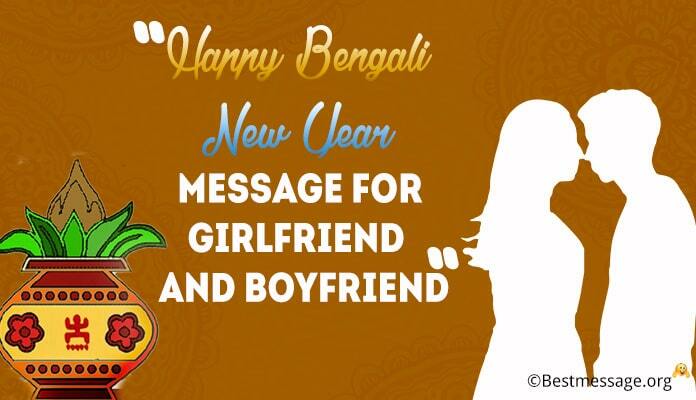 Send these Navratri wishes to loved ones to wish them a prosperous year ahead. 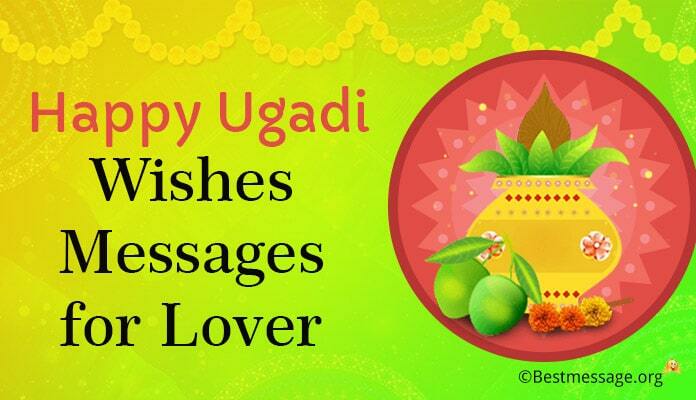 Shubh Navratri status messages for WhatsApp and Facebook share. 1. May the beautiful blessings of Maa Durga fill your life with new energy, happiness and prosperity…. I wish that Maa Durga is always there to protect you…. Happy Navratri. 2. 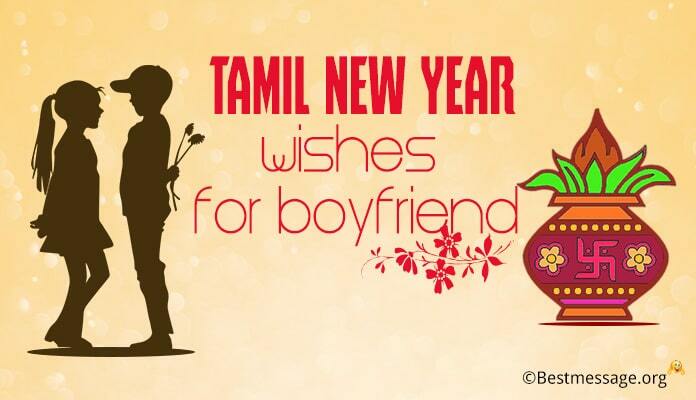 I wish nine nights full of festivities and enjoyment for you…. I wish a vibrant dandiya raas and an enthusiastic celebration time for you….. Happy Navratri to my sweet lover. 3. I wish that Maa Durga is always there to bless our bond of love and shower her blessings on her for an eternal relationship full of love and understanding….. Best wishes on Navratri to you. 4. On the occasion of Navratri, I want to thank Mata for sending you in my life and adding a new meaning to it….. I will always keep you close to me because you are present from Mata. 5. Navratri ke tyohar par Mata Durga se yehi hai prarthana ki wo apna ashirvaad sada hum par aur humare is pyaare se rishtey par banaye rakhein….. Navratri ki badhaiyan!!! 6. Jai Mata Di!!!! Jai Durga Maa!!! Jai Maa Saraswati!!! Jai Maa Laxmi!!! In sabhi deviyon ka sada bana rahe hum par pyaar aur dular…. Navratri ne avsar par bas yehi hai maa se pukar. 7. Jab bhi maa ka naam pukarein…. Maa aa jayein humein bachane….. Navratri ke mauke par bass mil jaaye Maa ka ashirvad, yehi hai Mata se dua ki woh apni kriip drishti sada rakein hum par banaye. 8. Jisne bhi Mata ko dil se chaha hai, usne uske charon mein swarg paya hai….. Safal ho gaya Jeevan uska jise mil gaya Maa ka ashirvad aur pyaar….. Happy Navratri to you. 9. May the occasion of Navratri bring along eternal happiness and joy for you and new opportunities to touch new heights of success…. Happy Navratri. 10. To the most loving girlfriend, I wish that choicest blessings of Maa Durga are showered on you and prosperity comes in your life to keep you ahead of everyone else. 11. 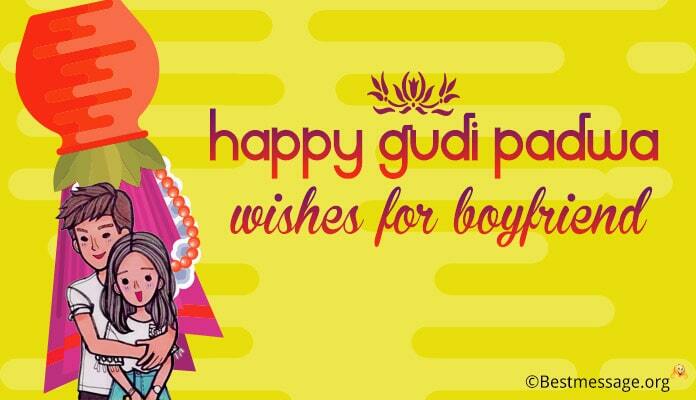 I am sending my best wishes to my dearest boyfriend on the auspicious occasion of Navratri…. May you enjoy new chances…. May you walk new paths…. May you write new success stories with blessings of Maa Durga!! 12. It is the love and blessing of Mata that we are bonded in this beautiful relationship of love….. Let us thank her for being so kind to us on the occasion of Navratri….. Happy Navratri to you!! !